Lynne is a Chichester-based artist and tutor whose work combines a fascination for architecture, landscapes and unusual forms found in the everyday world. Her preferred media are watercolour and pen and ink. Her work in all media reflects her love of strong lines and shapes. Having worked as a professional painter since 1992 Lynne quickly learnt how important it is to present work to the highest standards. She runs workshops in mount cutting (using a handheld mount cutter) in Chichester and at The Maltings in Farnham. She also gives demonstrations and runs workshops for Art Societies across southern England. Lynne has always loved making things and has developed two new workshops in making leather journals. These combine basic book making and leather working skills with stunning results. Dates for 2019 for both mount cutting and making leather journals are now available. At present she is developing more advanced book making workshops and dates for these will appear later in the year. 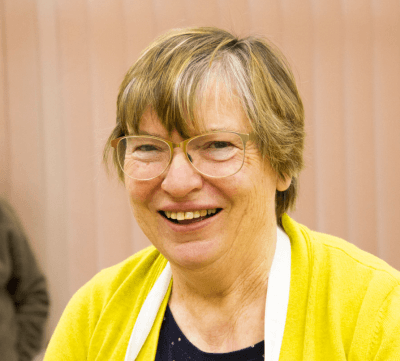 She is an experienced tutor having spent seven years teaching workshops for West Sussex County Council. Please follow the links for some great reviews of her workshops for both Leather Journals https://www.craftcourses.com/courses/make-a-leather-journalartists-sketchbook and Mount Cutting www.craftcourses.com/courses/introduction-to-mount-cutting. Copyright © 2019 Lynne Friel. All rights reserved.